Twitter Night Mode is about to hit the desktop version of the site after introducing it to the Android and iOS versions mid last year. 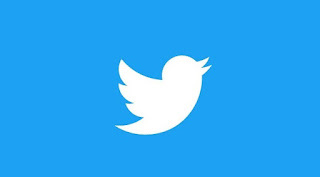 Ever since it's been added to Twitter for Android and iOS, it has been mostly used because people prefer using their phones at night before going to bed, and avoiding too much light rays coming from the phone's screen which is not good for the eyes. According to a reliable source, Twitter Night mode will be hitting the desktop version of the site anytime soon, as some users has started seeing the option to turn the feature on. If you use your PC to tweet and read stories on your Twitter timeline at night before going to bed, then get ready for this Twitter Night mode. You can equally check if the feature is already available for your PC by clicking on your profile image on the top right corner of your screen, then see if the option shows at the bottom of the drop-down list that appears. If the option is not there, then you ain't among the tester group; which means, you have to wait until it's officially available for the public. Twitter Night Mode is ideal for a deliberately darkened room, when you probably prefer less light to help you read conveniently and also fall asleep faster. You don't have to reduce your phone's brightness level (which is not always the best) before using Twitter. Night mode is not a new feature today. Even some browsers has this feature built in. So, seeing this feature on Twitter for PC shouldn't be a surprise. This is good, thanks for the update. Wow. That's awesome. Time to upgrade to nightmode.